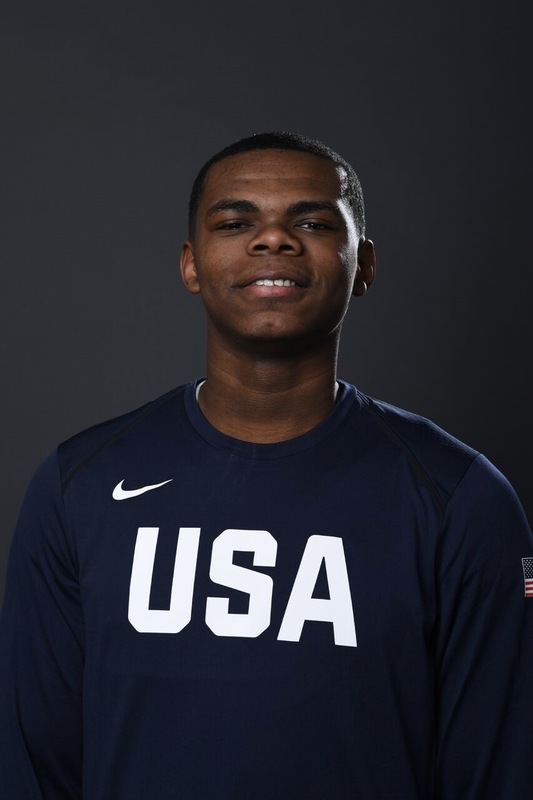 The 2018 USA Basketball Junior National Team Mini-Camp was held last weekend at the USOC Training Center in Colorado Springs CO. 88 top American prospects were invited from the national classes of 2019, 2020, 2021 and 2022 yet several there did not participate in (or missed due to injury/rest) the on-court skills development portion of the camp. This pattern of player behavior has to be addressed by USA Basketball in the future in that some kids seemed more interested in hanging out with their friends and/or collecting free gear than working on their game. I am not sure why USA Basketball feels the need to have kids miss 2-3 days of school to fly kids to this training camp if they are injured or unable to participate fully. Those spots could have been given to others deserving of an invite but who were not there but healthy and willing to work on the court. Officials from the NCAA and NBA were also on-hand reflecting the new post-Rice Commission terrain of high school hoops. The most interesting stat from this mini-camp was that from the classes of 2021 and 2022 only 1 (out of 37) was from the big states of California and Texas combined (0.27%). Those two states comprise a combined 20.7% of the overall US population (66.6 million persons). Terrific looking prospect who ESPN.com has already pegged as the #1 player in the class and I won’t quarrel with that assessment. 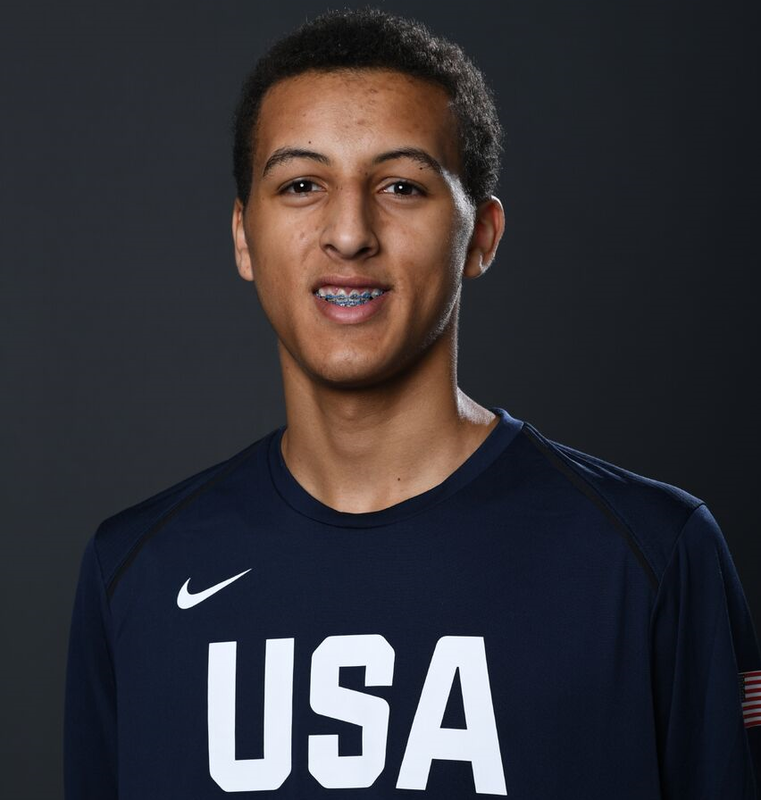 Baldwin has the whole package: size, skill level and outstanding basketball IQ/feel for the game. Style of plays reminds me of a young Jabari Parker. 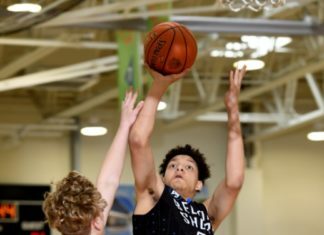 Duke, UCLA, Florida, Marquette, Wisconsin, USC, Iowa, Kansas State and LSU among the heavyweights that have already offered. Father Patrick Sr. is the head coach of Wisconsin-Milwaukee (had previously served as an assistant at Northwestern). Great kid and family! Big, physical PF that produces and impacts the game on both ends of the floor. Banchero’s excellent performance versus fellow elite 2021 power-forward Mike Foster drew rave reviews from media/scouts in attendance. Washington, Oklahoma and Alabama among the growing early offers for this Top 5 sophomore prospect. Active and strong post can finish at the rim with bounce and through contact. Excellent rebounder is quick off his feet to the glass. 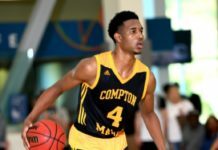 Originally committed to Arizona State but is back on the market and has a long list of suitors including the Sun Devils: UCLA, Marquette, Wisconsin, LSU, Texas A&M, San Diego State and UNLV. Athletic wing with top-notch shot-making ability played well here. 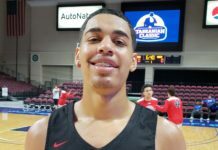 Griffin was also impressive at last June’s Pangos All-American Camp (one of the very few freshmen at the time that was there). Programs that have offered include St. John’s, Pitt, Seton Hall, Rutgers, Maryland, Providence, Wake Forest and Manhattan. Father Adrian Griffin played at Syracuse and is currently an assistant for the Toronto Raptors. 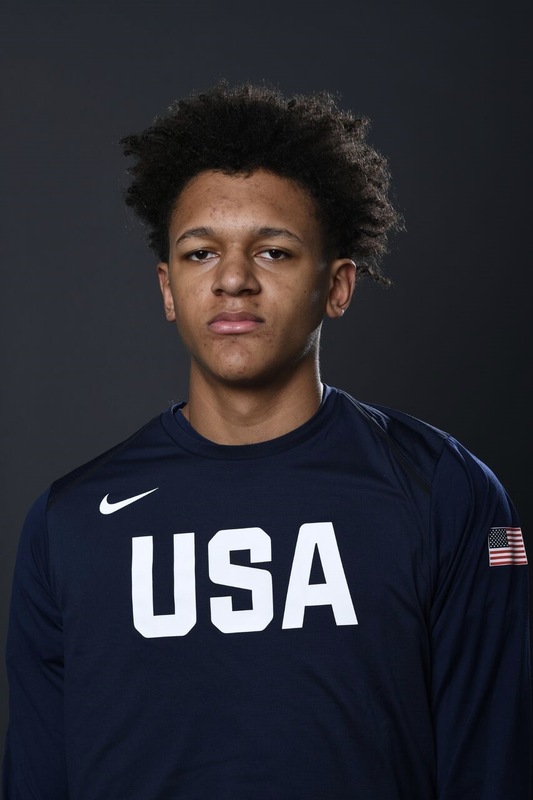 High-octane SG has dual scoring ability: extremely athletic off the bounce and in transition to the cup along with deep and accurate perimeter range. Detroit MI native’s brother Amauri Hardy plays at UNLV. 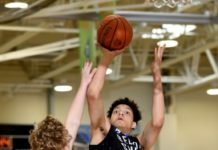 Besides the Runnin’ Rebels, Arizona, Georgetown, Oklahoma, LSU, Washington, Georgia Tech, Cal, Arizona State, LSU, Memphis, Illinois, Missouri, Florida State and San Diego State are among the many schools that have offered. Crafty PG with big-time scoring ability has early offers from Tennessee, Auburn, Vanderbilt, Creighton and Saint Louis. Smooth wing guard with great looking perimeter shot. 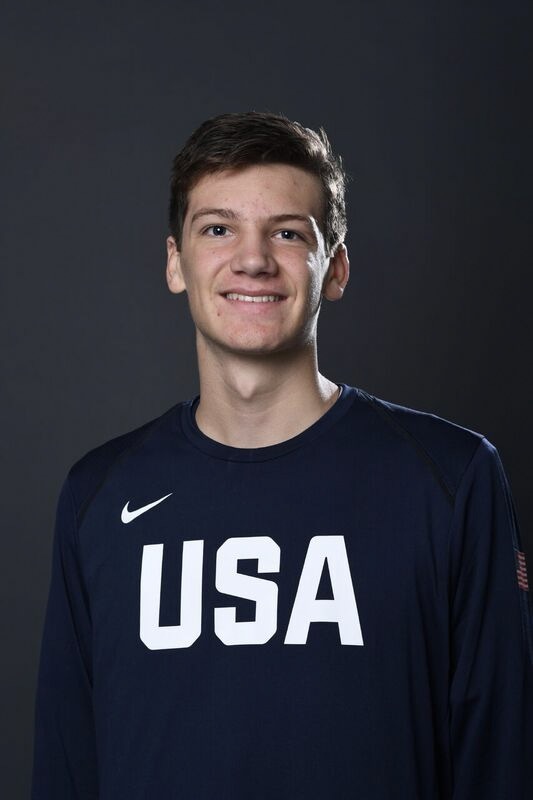 Rapidly emerging as a top Big 10 target as Illinois, Purdue, Wisconsin, Iowa and Northwestern along with 2018 NCAA Final 4 squad Loyola-Chicago have offered. Young center is rather thin but has top-notch skill level and agility. Bittle has quickly become a Pac-12 priority as Oregon, UCLA, Arizona, USC, Oregon State and Cal have offered. Muscular forward rebounds well and can score with regularity on the block. Pittsburgh, Syracuse and West Virginia among schools showing interest.